Ransomware has been successful in traumatizing the users by using encryption methods to extort money from the victim. We have to see how when the ransomware attacks the user and providers wake up to know about the vulnerabilities they have been tricked. Ransomware attacks high profile victims like banks, hospitals, retailers, public schools, hotels etc. Now they have started targeting individuals also. Criminals are having a gala time with ransomware, because if once stricken the user has no way to get back his system unless he pays the money in bitcoins. To book the perpetrators has only proved to be unsuccessful. It has been seeing that most of the attacks happen because there are poor security and no protection policy in place. Here are few things you need to take care of to prevent ransomware attacks. In case of an attack and you are locked by the ransomware, do not pay the ransom, because it only encourages the criminals to continue with their nefarious act. Moreover, there is no guarantee that your money will help to get the system back or regain access to the locked files. Always keep a backup of all your systems externally. This will help you restore your files in case of an attack. Do not entertain any emails that ask for your personal details. Beware of such emails it may be a phishing trick to install the malware on the system. Apprise your IT department in case you are suspicious of any such files. Keep an updated antivirus software on your system, and employ strong firewall. Make sure you are having the software of a reputable brand, and not fake ones. Ensure you have a content scanning and filtering on your mail server, so any incoming mail will be thoroughly checked to see if it contains any dubious code that can be a potential threat for your system or network. Regular patching of security holes and vulnerabilities should also be ensured. Ransomware criminals often go after medium to small kind of organization, since they know their security is weak. The above step goes on to help the users in a large way to protect themselves from ransomware attacks. 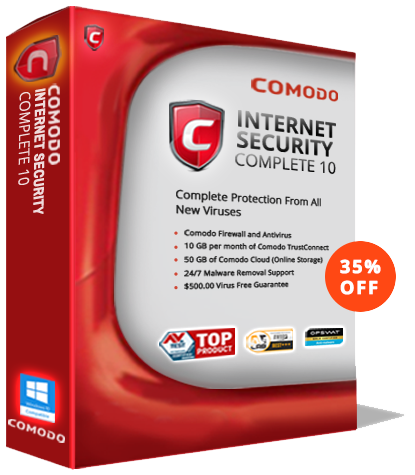 Visit Comodo security services to know how your system can be kept safe with some of the world-class antivirus protection.